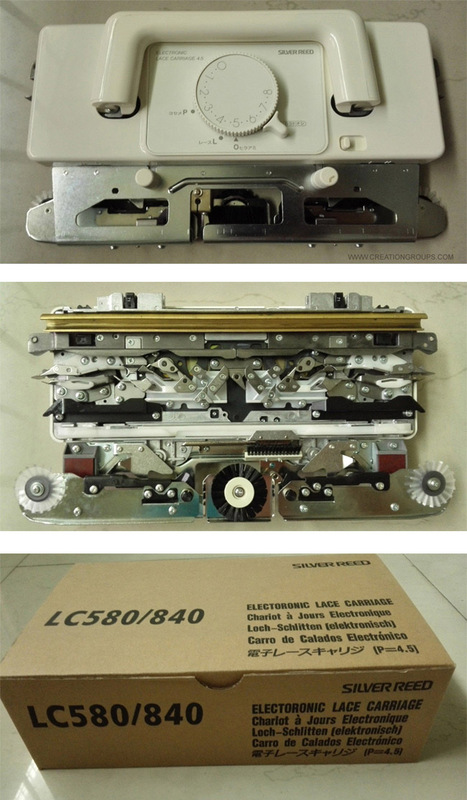 All New Silver Reed Brand LC580 Lace Carriage for Sliver Reed Knitmaster Empisal Studio Singer SK840 SK580 SK560 SK550 Electronic Knitting Machine. Newly made by the manufacturer (Silver Reed General Factory),superior quality! 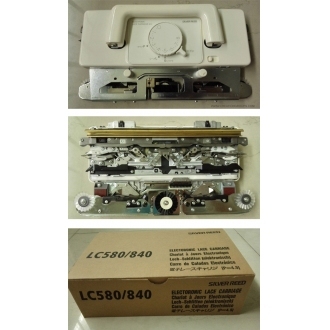 The Silver Reed Brand LC580 Lace Carriage is same as LC560 except that you can plug in the PE1 Pattern Controller to LC580 for use on Standard Gauge 4.5mm Electronic Knitting Machines. Transfer stitches for lace patterns in a single action. Lace Carriage knits and transfers in a single pass according to the design selected. Capable of producing fashionable multiple lace transfer designs. LC580 Transfer Lace is as easy as stockinet. Now you can knit delicate lace patterns as quickly and easily as stockinet. functioning carriage, rather than just transfer mechanisms.It knits both simple and fashion lace so a single carriage knits and transfers, sometimes all in the same row.Simple lace transfers and knits all in the same pass of the carriage.Features a secondary pattern of traveling stitches that enhances the eyelet lace.LC580 is also capable of knitting isolated lace motifs.Comes with 20 electronic designs. Silver Reed Parts No. 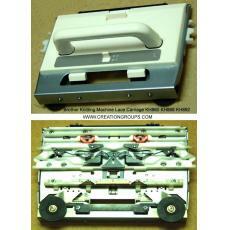 LC580 or LC-580 Lace Carriage. Claw Weights/Wide or Pin Claw Weights. Shipping: By Express Mail & Airmail. 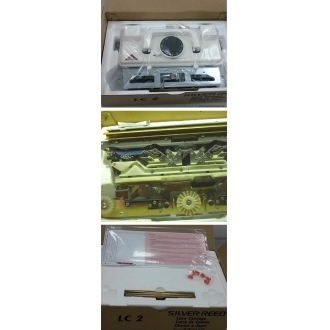 By EMS/UPS/TNT/FEDEX/DHL Express Mail (about 7~8 days to Countries/Areas incl. By Airmail (about 7~16 days to other Areas not in Express Mail List).